My kid won't be on Pinterest. I might be the only mom that did not prepare a chalkboard declaring the date and "grade" that my child is starting. I hope she can forgive me one day. 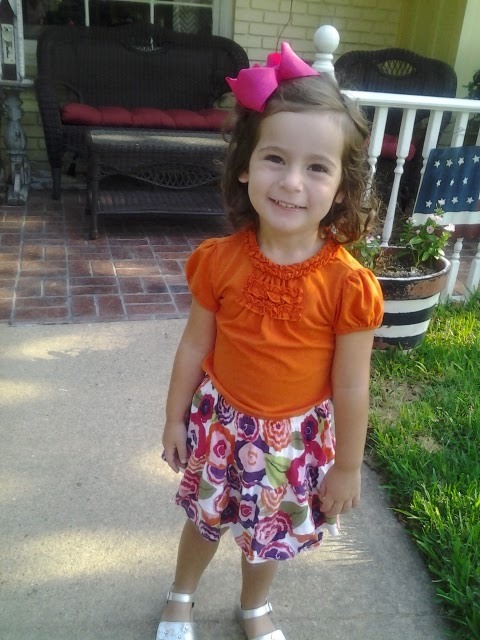 Katie started school today in the 3's department! I didn't have a chalkboard, but I did get us there on time and her lunch was made! AND her pb&j was shaped like a heart! This was Katie on her first day last year. Ugh! My heart hurts a little bit! 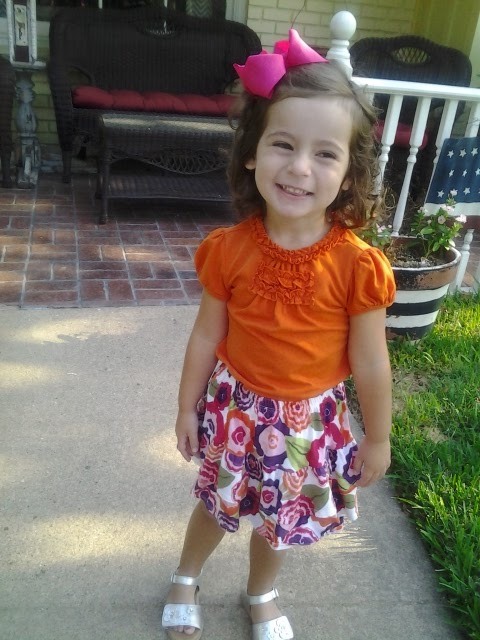 And my big girl now. Who am sure will look tiny when I am comparing this to next year's picture! I still can't find the battery charger for my camera, so I had to rely on my phone. 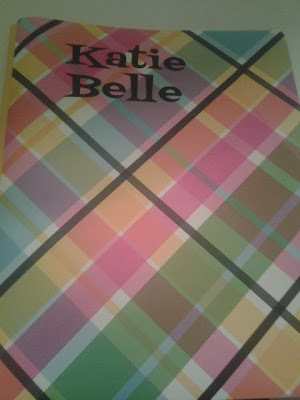 My sister made Katie this cute folder for school! I love cute school supplies! Katie was a little anxious about going to school today, but she did great! Her teachers said she was very brave and had lots of fun. They asked who wanted to pray at lunch and Katie said, "I'll do it! I love to pray!" And I got ALL my laundry done today! We are looking forward to a laundry free and school free weekend! I am that momma also! No chalkboard, barely getting pictures taken, hoping that the lunch has been packed correctly momma LOL. Pinterst Spinterest! You don't need all that when you have a cute kid! Give yourself some credit too, not only did you get her up, dressed, and somewhere on time with a lunch, you have a blog that journals her precious life, how many people can say that? Some One Needs To Light a Fire Under Me! Don't Cry and You Will Get Some m&m's! I'm Still Alive! And I Got Roses!